Until now, no one has written of The Trial of Cameron Todd Willingham. 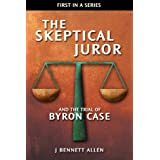 Many have written about the discredited arson evidence used against him, but no one has written on the trial. Few writers have noted that the jurors maintain still today that they would have convicted Willingham even in the absence of the arson evidence. There are multiple tragedies in this story. One of them is that had the jury deliberated more carefully and more skeptically, Willingham might not have been even convicted, much less executed. The defense put on almost no case of its own. A babysitter testifed that Todd would never have done such a thing, An inmate was called to rebut the State's snitch, but was not allowed to testify. Other than those two less-than-impressive witnesses, Willingham's defense called no one to testify in his defense. Despite the lack of an affirmative defense, and despite inadequate confrontation of the State's witnesses, the trial testimony still had buried within it an explanation of the fire that undermined the State's case. The jurors failed to see it. 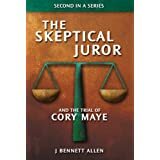 Will you, as a skeptical juror, see what they missed? 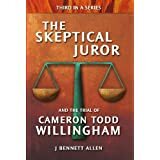 Thank you for your patience while I was distracted by the writing The Skeptical Juror and The Trial of Cameron Todd Willingham. The book is now available on Kindle. It will soon be available in print, hopefully this week. Click the book cover at the upper right purchase from Amazon. Regular blogging will resume on Monday. Learn why Kia Levoy Johnson may be another person wrongfully executed under the watchful eye of James Richard "Rick" Perry.